The mission of the Fort Worth Chorale is to excite, engage, and inspire diverse audiences; to change lives through the artistry of singing. 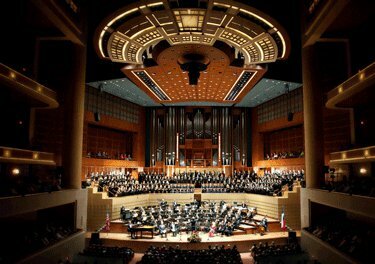 Founded in 1962 under the name Schola Cantorum of Texas, Fort Worth Chorale is one of Texas' foremost civic choruses and is recognized as Fort Worth's premier choral ensemble. The group, comprised of nearly 70 singers, " pushes the technical boundaries of what music could/should be." The Chorale traditionally offers three to four themed concerts per season at various locations throughout Fort Worth and the metropolitan area.